We got a nice gully washing rain yesterday. We found this small (1/4 inch) “rain bug” on our morning walk. I used to see them quite often, well as often as we have rain in West Texas. 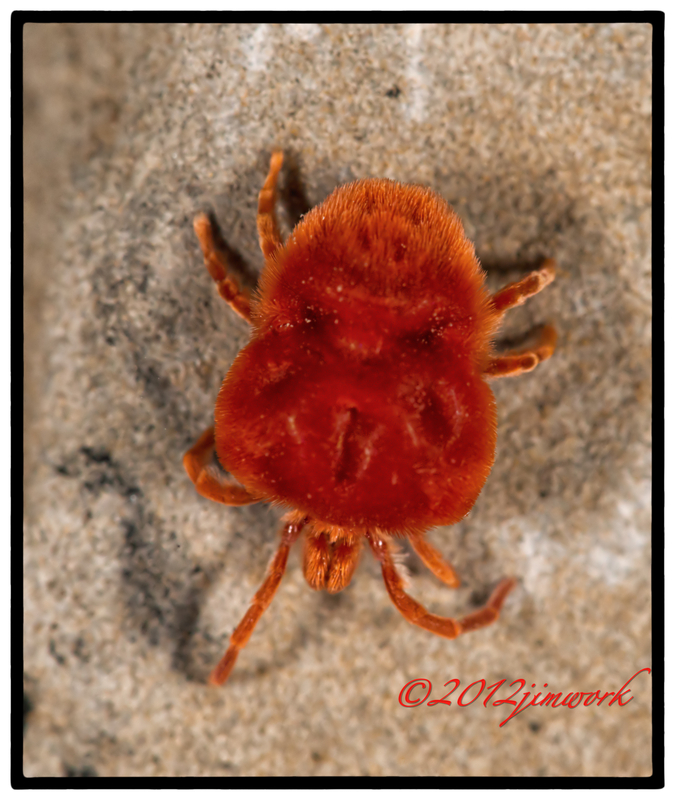 They are also know as Red Velvet mites, Santa Claus Bugs. My granddad called them “resurrection bugs” as he claimed they could lie dormant in the ground for years during droughts. I found no substantiation for Papa Jim’s story, but I would have a hard time not believing an old West TX Caballero. Also, I would be quick to dispel the rumor that they are used to make the red in red velet cake, NOT TRUE. Hailing from the family Trombidiidae, there is actually very little known about these creatures – Liam Heneghan, an ecosystem ecologist from DePaul University called them an ‘under-researched enigma’. He did explain that they are chelicerates, making them closely related to spiders and scorpions, and told of their fascinating mating ‘dance’, where the male lays down sperm along a branch and then crafts a silken trail to entice females to come and sit down on his sperm. 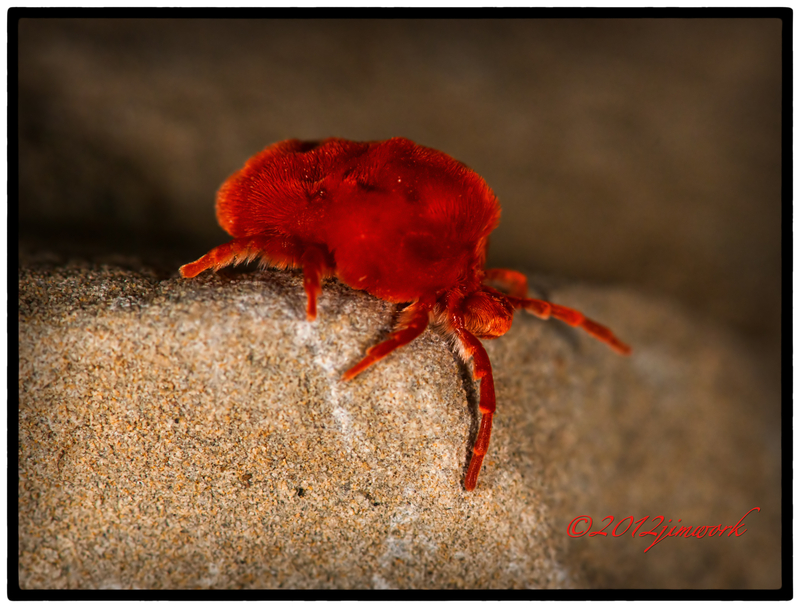 He also hinted that their bright red color is a warning that the mites have a terrible taste – he said that he’s placed them on anthills and observed no ants moving in for what would seem like an easy meal. It’s known that the red velvet mites somehow play a supposedly vital role in the decomposition process. But the details of that role are still missing. Fantastic photos. I think those are what we call Velvet Ants, but not positive. Ah, I thought this was a tarantula at first. look at that fuzzy thing! Awesome photo.